This paper examines the emergence of different forms of nostalgia during the collaborative production of videos about exile among nine Chilean political refugees living in California. It shows that nostalgia, a set of emotions and imaginary activities that yearns for the past, has evolved with time and has different manifestations throughout the different stages of life in exile. It presents the medium of video as an ethnographic tool used in making nostalgia visible through most stages of its creation from the preproduction activities, to the taping, and editing. Five major forms of nostalgia are presented, giving particular importance to the forms of nostalgia that were performed in front of the camera by the exiles. Berliner, David. 2015. "Are Anthropologists Nostalgic?" In Anthropology and Nostalgia, edited by Olivia Ange and David Berliner. New York: Berghahn. Blunt, Alison. 2003. "Collective memory and productive nostalgia: Anglo-Indian homemaking at McCluskieganj." Society and Space 21 (6):717-738. Bolzman, Claudio. 1994. "Stages and Modes of Incorporation of Exiles in Switzerland: the Example of Chilean Refugees." The European Journal of Social Science Research 7 (4). Boym, Svetlana. 2001. The Future of Nostalgia. New York: Basic Books. Brubaker, R. 2005. "The "diaspora" diaspora." Ethnic and Racial Studies (28):1-19. Davis, Fred. 1979. Yearning for Yesterday: A Sociology of Nostalgia. New York: The Free Press. Degarrod, Lydia Nakashima. 2013. "Making the Unfamiliar Personal: Arts-based Ethnographies As Public Engaged Ethnographies." Qualitative Research 13 (4):402-413. Degarrod, Lydia Nakashima. 2016a. 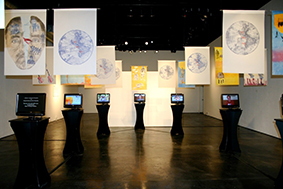 "Collaborative Art and the Emergence and Development of Ethnographic Knowledge and Empathy." Critical Arts: A Journal of North-South Cultural and Media Studies 30 (3). Degarrod, Lydia Nakashima. 2016b. "Exile, The Sorrow of Time and Place." In Beyond Text? Critical Practices and Sensory Anthropology, edited by Rupert Cox, Andrew Irving and Christopher Wright, 76-88. Manchester: Manchester University Press. Eastmond, Marita. 1997. The Dilemmas of Exile. Goteborg: Acta Universitatis Gothoburgensis. Fabian, Johannes. 1990. Power and Performance: Ethnographic Explorations through Proverbial Wisdom and Theater in Shaba, Zaire. Madison: The University of Wisconsin Press. Hall, Stuart. 1990. "Cultural Identity and Diaspora." In Identity: Community, Culture, Difference, edited by Jonathan Rutherford, 222-237. London: Lawrence & Wishart. Hall, Stuart. 1994. "Cultural Identity and Diaspora." In Colonial Discourse and Post-Colonial Theory: A Reader, edited by Patrick Williams and Chrisman, 392-401. London: Harvester Wheatsheaf. Haw, Kaye, and Mark Hadfield. 2011. Video in Social Science Research. London: Routledge. Irving, Andrew. 2011. "Strange Distance: Towards an Anthropology of Interior Dialogue." Medical Anthropology Quarterly 25 (1):22-44. Lassiter, Luke Eric. 2005. The Chicago Guide to Collaborative Ethnography. Chicago: The University of Chicago Press. Nichols, Bill. 1991. Representing Reality: Issues and Concepts in Documentary. Bloomington: Indiana University Press. Ramirez, Carolina. 2014. "“It is not how it was”: the Chilean diaspora’s changing landscape of belonging." Ethnic and Racial Studies 37 (4):668-684. Rebolledo, Loreto, and Maria Elena Acuña. 2000/2001. "Narrativa del exilio chileno." Anales, Nueva Epoca (3-4):3-20. Ritivoi, Andreea Deciu. 2002. Yesterday Self: Nostalgia and the Immigrant Identity. Lanham: Rowman & Littlefield. Rouch, Jean, and Steven Feld, eds. 2093. Cine-Ethnography. Minneapolis: University of Minnesota Press. Said, Edward. 2000. "Reflections on Exile." In Reflections on Exile and Other Essays, edited by Edward Said. Cambridge: Harvard University Press. Sarkar, Bhaskar, and Janet Walker, eds. 2010. Documentary Testimonies: Global Archives of Suffering. New York: Routledge. Sedikides, C, T Wildschut, and J Arndt. 2008. "Nostalgia: Past, Present, and Future." Assciation for Psychological Science 17 (304-307). Stewart, Katherine. 1988. "Nostalgia - A Polemic." Cultural Anthropology 3 (3):227-41. Sznajder, Mario, Luis Roniger. 2007. "Exile Communities and Their Differential Instituational Dynamics: A Comparative Analysis of the Chilean and Uruguayan Political Diasporas." Revista de Ciencia Politica 27 (1):43-66.
van Dienderen, An. 2007. "Performing Urban Collectivity: Ethnography of the Production Process of a Community-based Film Project in Brussels." In Visual Interventions: Applied Visual Anthropology, edited by Sarah Pink. New York: Berghahn Books. Wilson, J. 2005. Nostalgia: Sanctuary of Meaning. Lewisburg: Bucknell University Press. Wright, Thomas C., and Rody Oñate. 2012. "Chilean Political Exile." In Exile and the Politics of Exclusion in the Americas, edited by Luis Roniger, James N. Green and Pablo Yankelevitch. Brighton: Sussex Academic Press.